Since our founding in 1977, Aldie Counseling Center has been a leader in the development of treatment interventions and care of those struggling with alcoholism and other drug dependencies. We have touched the lives of thousands in the community with our innovative programs and caring professional staff. Decades of experience have guided the development of a highly effective continuum of care. Thanks to our caring staff, we are able to address early recovery issues through aftercare and help people at various stages of addiction. 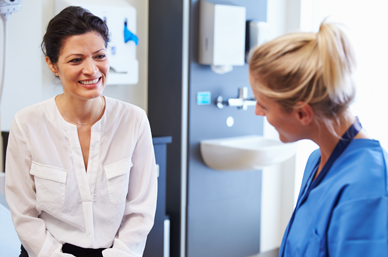 Before beginning treatment, each client must undergo a professional assessment that will determine the seriousness of their issues and the appropriate level of care. Once the assessment is finalized, we offer the client a treatment recommendation that is tailored to individual treatment needs. Our outpatient programs are open to anyone struggling with alcohol or other substance issues. In order to better serve our clients, each individualized treatment regimen is tailored to meet the client's specific needs. Our clinicians have been trained in eclectic disciplines and provide clients with a variety of therapeutic techniques. We are also able to refer clients to inpatient treatment when warranted and offer continuing outpatient care when the client is discharged. 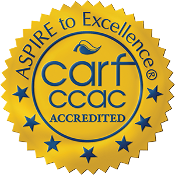 Aldie is licensed by the Pennsylvania Department of Drug and Alcohol Program, and accredited by CARF (Commission Accreditation of Rehabilitation Facilities) is contracted by the Bucks County Drug and Alcohol Commission as a central intake agency to evaluate client needs, seek funding for treatment, and facilitate referral to inpatient facilities as appropriate.